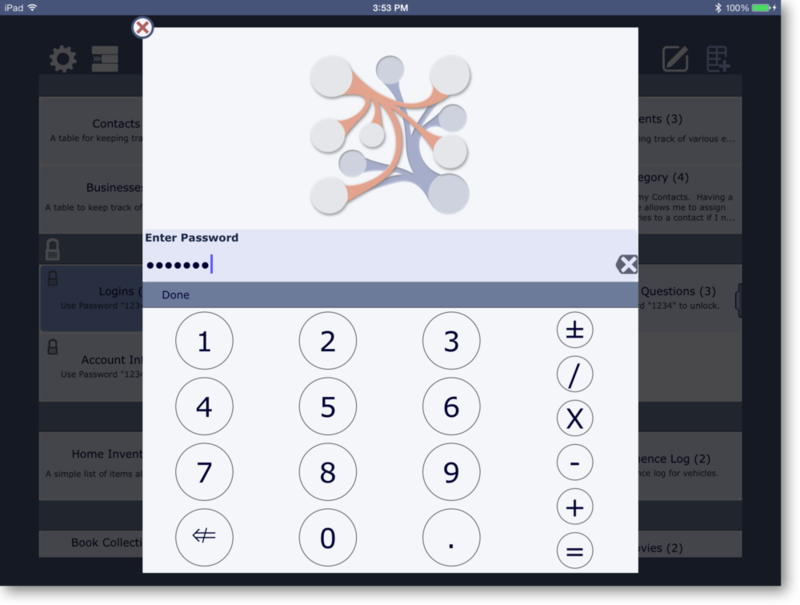 Flexile is a different paradigm to creating a database on the iPhone and iPad. While keeping many of the "traditional" elements that make databases so useful (Tables, Fields & Records) it breaks away from the traditional model by making it easy to Link together records, create formulas, aggregate data and design custom views. You can view our Full Feature List or read through our summary below for more information. Flexile is custom designed with an intuitive, interactive interface that makes it a pleasure to work with. Flexile utilizes full-screen data entry, custom controls and a interactive interface that allows you to easily edit your data without the minimum amount of hassle. Have a record that's related to another? Flexile won't make you jump through hoops to make the connection. Instead, simply select the record you want to Link to and you're done. Flexile will link your records, organize them and display them right along with the record, essentially making a record's links part of the record itself. Flexile gives you an unprecedented amount of control over how your data is displayed by implementing an easy-to-use drag and drop interface to allow you to arrange your views. 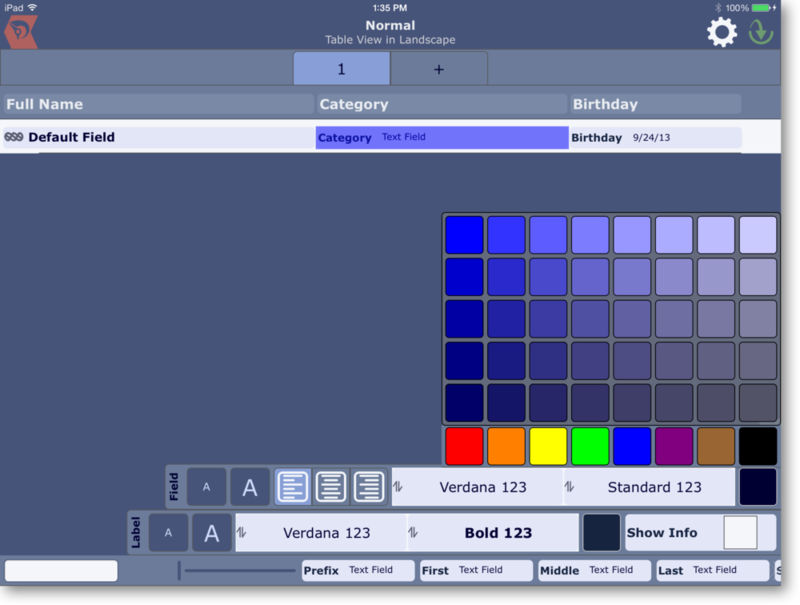 You can control over size, font, color and position. Plus, with "Pages" you won't run out of room for your data. Flexile has a variety of field types to accomodate all kinds of information. Moreover, advanced field types like calculations and concatenations have drag and drop interface for constructing formulas. Password protect your app and/or individual tables with either a pin or full password. You can also have the option to auto-lock your tables and app whenever you leave the app. Flexile has a sophisticated system for importing data that allows you to easily match your imported data to Flexile's tables using a drag and drop interface. Flexile can export your data in a CSV (comma separated values) format including only the records and Links you want. Flexile makes it easy to backup and restore your database using a variety of services including: Dropbox, SugarSync and Box. Take a look at our Features page for a more in-depth look at what Flexile has to offer.